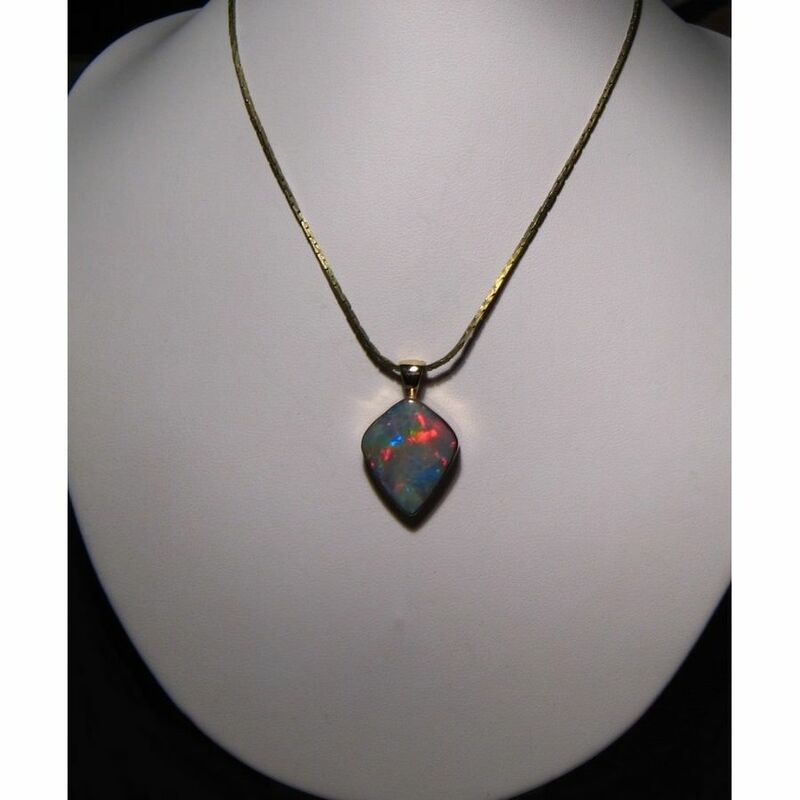 A large Black Opal pendant with a free form Red and Blue Opal set in 14k Gold. 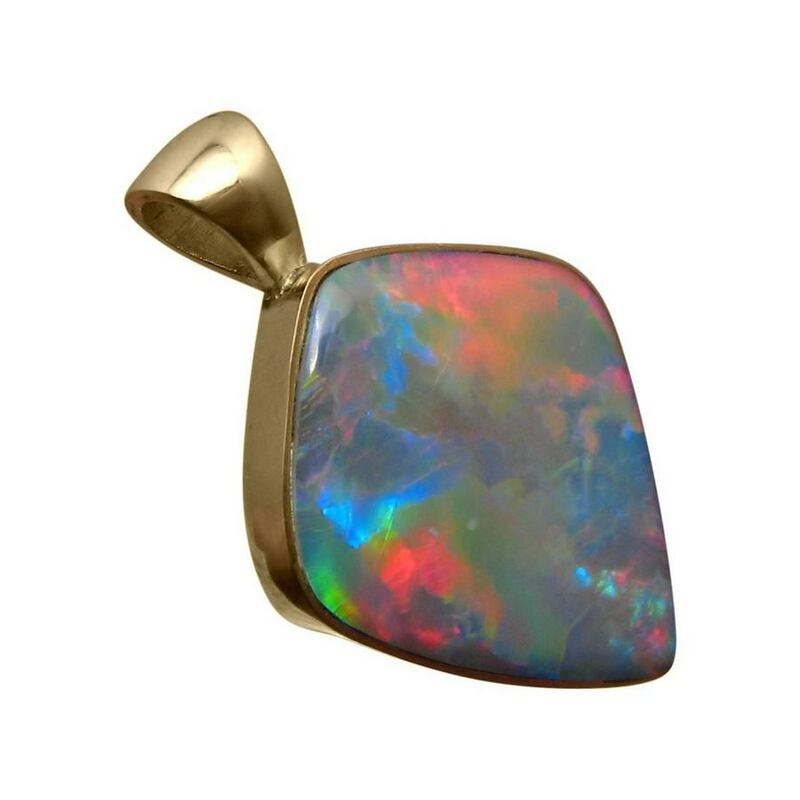 This Black Opal pendant is eye catching with the bright Red and Blue flashing in a lively play of color. 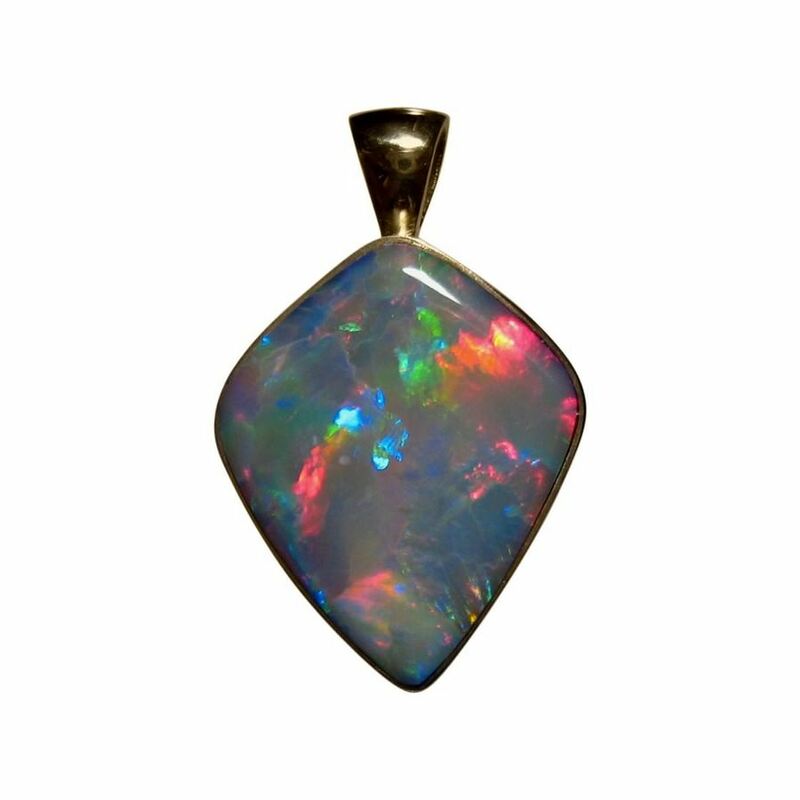 The Lightning Ridge Black Opal is cut and polished in a kite shape for a weight of over 6.5 carats and has a body tone of N3. 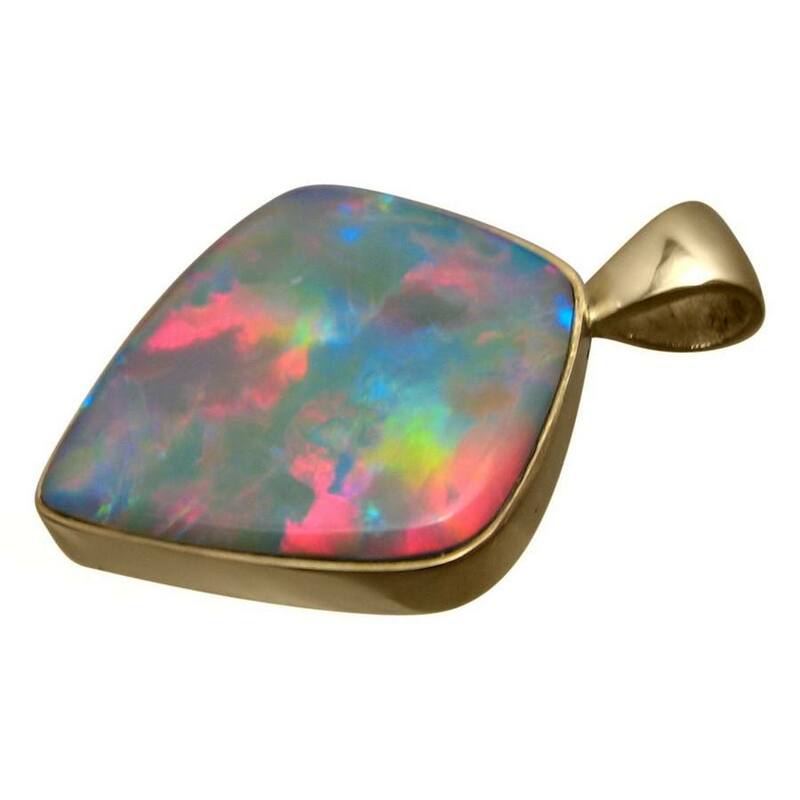 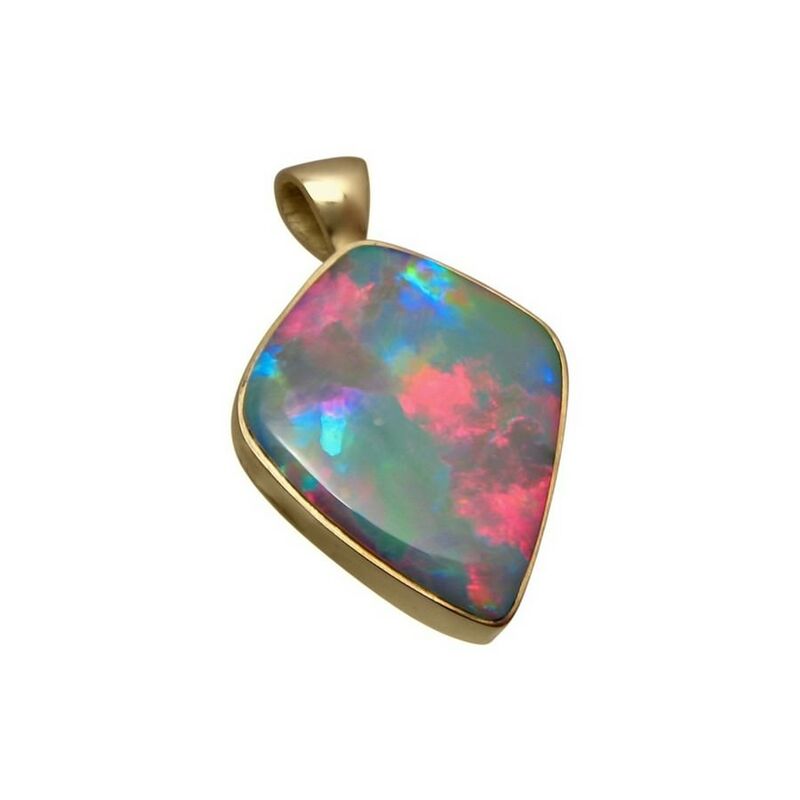 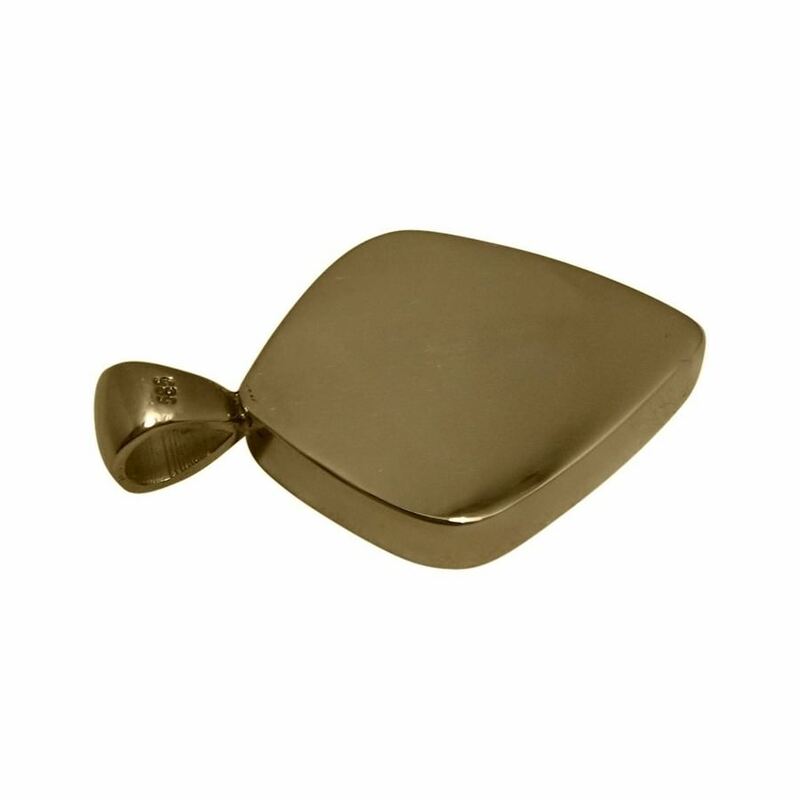 It is set in a custom made to fit 14k Yellow Gold pendant that accentuates the Red of the Opal and measures over one inch from the top of the bale to the bottom of the pendant. 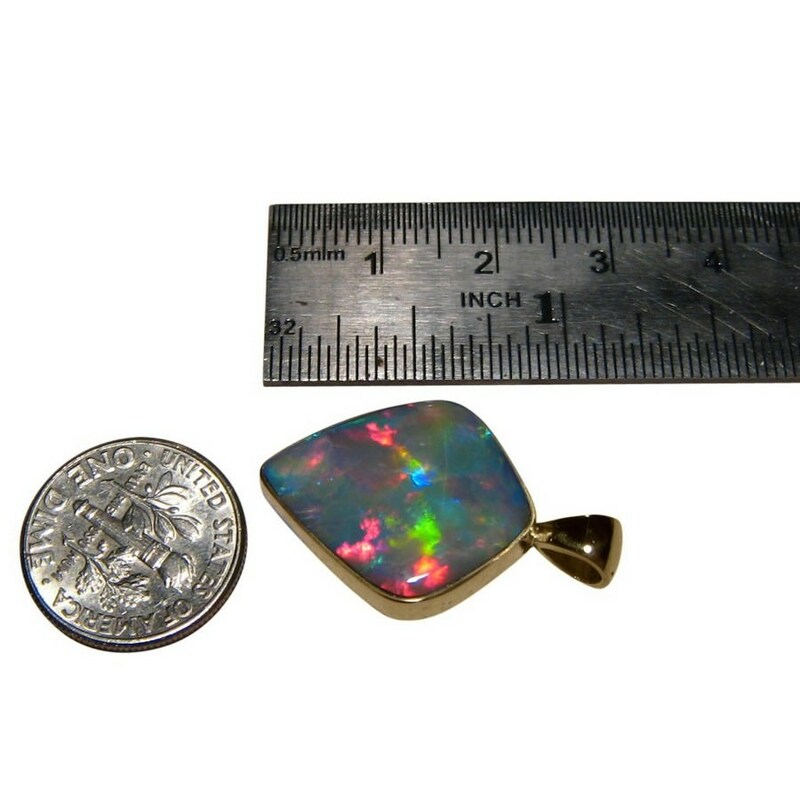 An impressive quality Black Opal pendant that is ready to ship now however the chain is not included.